Doesn’t these pens are just adorable to have? If you are a pen lover or just someone who loves to keep unique stuffs then this Read More..couple-pen set is a must have. 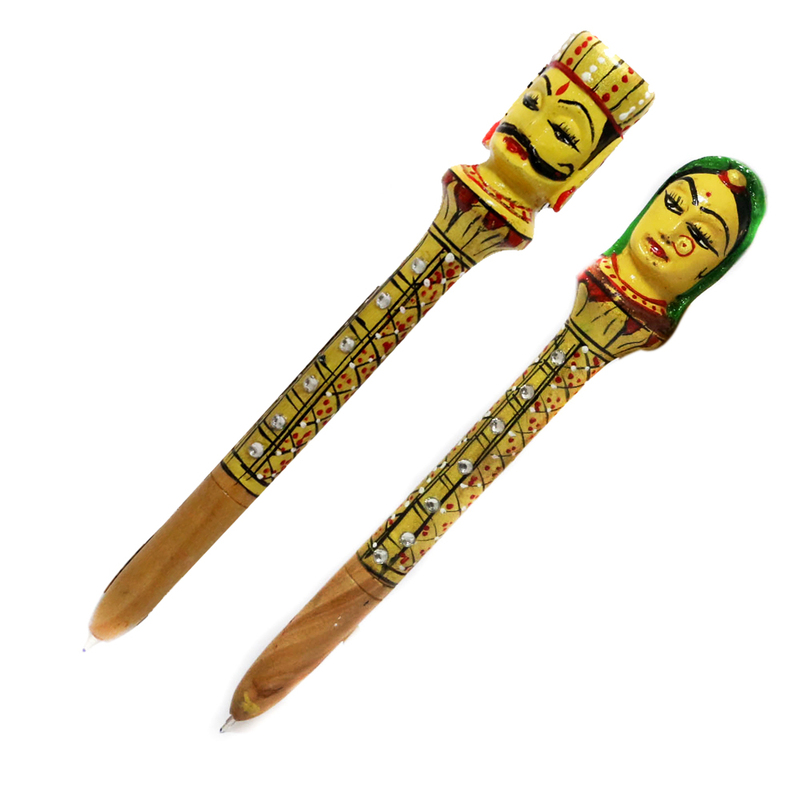 Both the pens have a head resembling Rajasthani men and women. The remaining body is identical otherwise. it absolutely highlights the culture of Rajasthani background. Show Less..